Following the success of the first Food Innovation Master’s Program, the University of Modena and Reggio Emilia, Future Food Institute and Institute for the Future are launching Food Innovation Program 2.0. Beginning in September 2016, this 12-month, full-time food master’s program is dedicated to shaping the global food leaders of tomorrow. 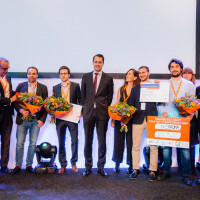 We are thrilled to be partnering with the Food Innovation Program (FIP) to offer an exclusive, full-paid scholarship to the Food+Tech Connect community ( valued at 10,000 Euros, but does not include living and travel expenses). 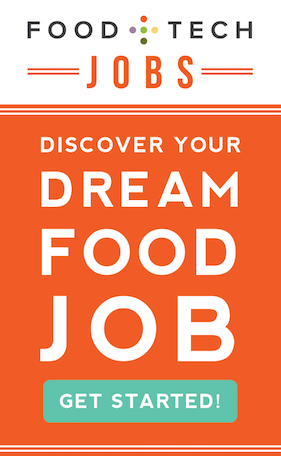 This food master’s program scholarship is open to food artisans, hackers, aspiring entrepreneurs, restaurateurs, designers, technologists, chefs and farmers. FIP students will get to experience three exciting and innovative food hubs of excellence in the world first hand; from Silicon Valley, USA to Reggio Emilia, Italy and Shanghai, China. The program is truly a one of a kind global food tour offering students the opportunity to seek and understand the motivations, drivers and impacts of food innovation across the globe. The program is designed to prepare students to seize new opportunities in responding to challenges and shaping the future of food. INSPIRATION Track in Reggio Emilia, Italy (September – December 2016): This track offers an intense and comprehensive academic experience with a high-caliber, international faculty. ASPIRATION Track ( January – February 2017, in various locations throughout the globe): This track expand students’ entrepreneurial horizons and engage them in the process of cross-pollination of ideas, cultures and culinary traditions. PERSPIRATION track ( March to mid July 2017) will provide laboratory training and prototyping in the one-of-a-kind OFFICUCINA kitchen maker-space equipped with culinary tools and state of the art technology for students to bring their ideas to life and create prototypes of innovative products or services based on challenges launched by our Corporate partner companies. Applications are due by May 30, 2016, so be sure to apply today. 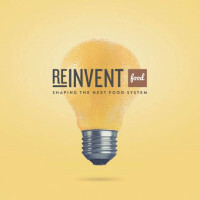 Visit the Food Innovation Program website and check out the video below to learn more.